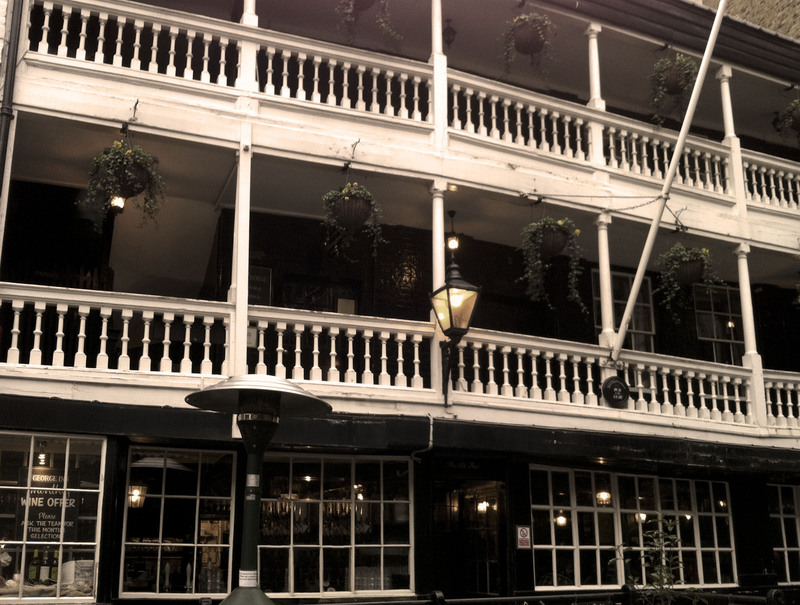 As the only galleried coaching inn left in London, The George Inn (or simply, The George) is something to see. 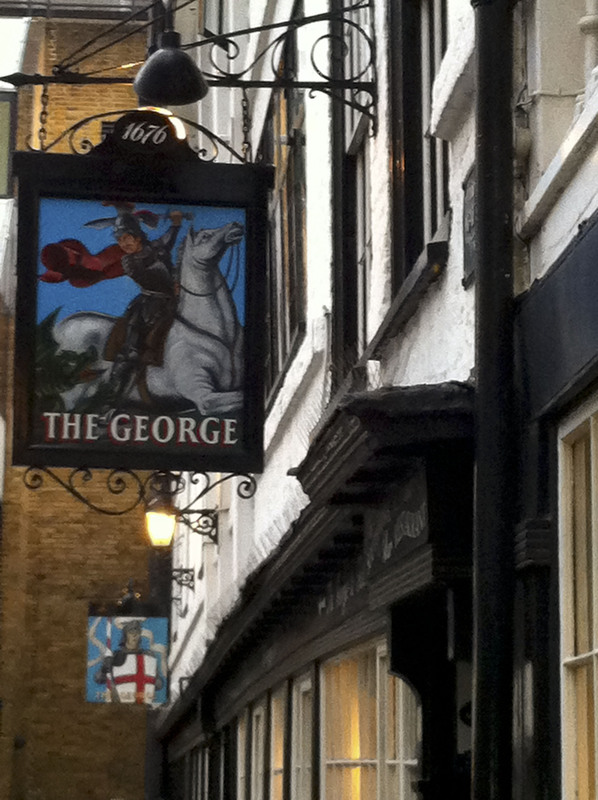 Dating back to the 17th century, The George once provided accommodation for coach travelers on their way to the City. Tucked down an alley, its low ceilings, dark wood beams and cobbled courtyard take you back to a London of long ago. It is said that both Charles Dickens and William Shakespeare were frequent patrons. Now owned by the National Trust, the restaurant and pub still serve food and drink today. K and I recently enjoyed a beer in the courtyard while acting out a scene from Romeo and Juliet. This entry was posted in The Sights and tagged The George Inn. Bookmark the permalink. This looks so historic and inviting. Maybe when we come in May it might be a good place to get a “pint”. Love, M. & D.
Sounds like a plan, Marcia!